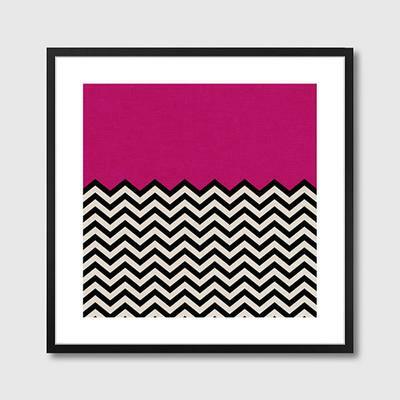 Bold and utterly chic, this Follow Your Heart Framed Print will instantly liven up your space. Great for living rooms, hallways and even commercial spaces like a cafe, this print can inject colour and a bold pattern to the room. The artwork is printed on high quality paper and then framed gorgeously with white matting. A wooden black frame complements it beautifully while durable and shatterproof Perspex glass protects it from damage. This piece is available in two different sizes: 30x30 cm or 50x50 cm. Take your pick on the size you want and start enjoying your precious art piece.